The Bavarian Museum Award, which comes with a prize money of 20,000 euros, will be presented to the German Hat Museum this year. The celebration will take place on Friday, December 4th, 2015 in Lindenberg im Allgäu. The museum designed by ATELIER BRÜCKNER is awarded for its “outstanding museum’s work”. “With a new concept it dedicates itself to the history of the headgear in a well-founded, aesthetical and playful way. The varied exhibition closes the gap between the utilised materials, the numerous production steps, the required tools and the design of hat fashion through the ages”, according to an excerpt from the jury’s statement. 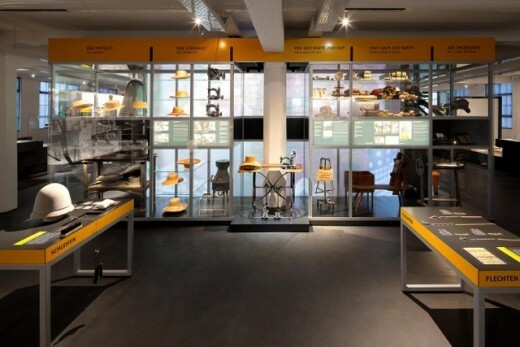 Uwe R. Brückner calls the German Hat Museum Lindenberg “a project of creative curiosity”. From January 2013 he explored the museum’s extensive collections together with his scientific team. They inventoried, evaluated and drafted; then, beginning from July 2013, they designed and built until the opening of the house in December 2014 under the direction of historian Angelika Schreiber. 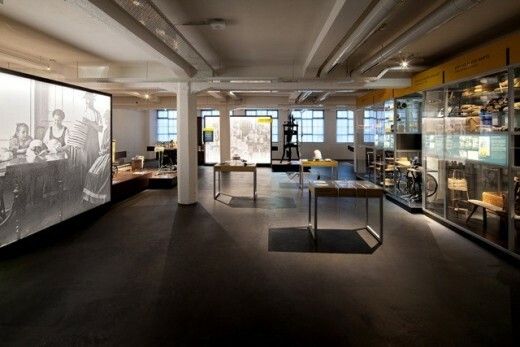 The permanent exhibition is spread out over two floors inside the former hat factory Ottmar Reich. Both floors are ideally connected by a central artistic installation. A hat tornado arises from the lower exhibition floor, which concentrates on the town’s history and the hat production, and lends dynamic to the upper floor, which tells about the hat as a part of our cultural history. Ever since 1991 the Versicherungskammer Bayern has enabled the presentation of the Museum Award to non-governmental museums in Bavaria. The prestigious award is presented every two years. The recent award winners include the Kulturspeicher Würzburg in 2005, the Maximilianmuseum Augsburg in 2007 and in 2009 the Museum Dingolfing with its collection showing the industrial history, which has also been designed by ATELIER BRÜCKNER. 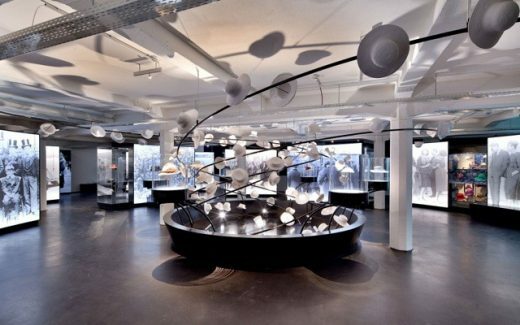 In the year 2015 the Bavarian Museum Award will be presented in two categories for the first time, thanks to the Versicherungskammer Kulturstiftung, which was founded in 2014: The German Hat Museum will be awarded with 20,000 euros in the category “museums with scientific direction”. The Augustiner-Chorherren-Museum in Markt Indersdorf will be awarded in the category “museums with honorary direction” and will obtain a prize money of 10,000 euros. Both award winners were announced on July 9th, 2015 at the Bayerische Museumstag in Kulmbach and now they are going to celebrate together in Lindenberg on December 4th.